My Aussie Skye is 10 weeks old, and I love her to death! Except she tends to purposely do things to get her way. When she wants to go out, and we have just let her out she will try to pee on the carpet so we will let her out again. Sometimes I will tell her no, and she looks at me and decides she is going to try it anyway. Just the other day I was trying to get her to stop eating cat food, and I would clap my hands and tell her no. She didn't listen so I had to grab her by her scruff and pull her away. I would tell her no with a stern voice when she looked at me, but she continued to go back to the cat food. She did not want her own food. I would also like some advice on come. She only comes when she wants to. I'm pretty sure she knows what come means, but she would rather dig in the garden or eat poop than come to me. While it can seem like it, Skye is not doing things purposely to upset or manipulate you. She is only 10 weeks old. Rather than just letting her out to pee and finding that she has not done so and still tries to do it when she comes back in you will need to teach her about house training. At 10 weeks she does not understand. It is your responsibility to be vigilant and take her out at key times, like after she wakes up, after meals, and if you see her giving indications she needs to relieve herself. Take her outside to her "spot." This must always be a positive experience. NEVER use punishment when accidents happen. I'm concerned about the cat food as the formulation for cats is very different than what is appropriate, or safe, for a puppy. I would recommend putting the cat food in a place that is impossible for the puppy to get to in the first place. I had this problem as I had an Aussie and two cats. One option is to have the cat's food on a raised area, out of reach of the puppy. Same for where we put the litter box… We got a hook latch for a door to a spare room. This way the door was open enough to let the cats in and out to access the litter box. This worked well once my Aussie, Levi, was bigger than the cats and couldn't fit through the opening. Keep in mind that Skye is still very young and it is not likely that any of her behavior is willful disobedience to spite you. It's not that she is not listening, it is that she is not understanding what you are saying and using stern tones or even raising your voice will not help her learn. It may instead cause her to fear you. I would also recommend avoiding doing things like grabbing her by the scruff and pulling her away as well. It's more likely to invoke fear and damage your relationship with her. If she did not want her food, make sure you are offering her high quality food that is designed specifically for puppies. There are things to be aware of related to feeding frequency, amounts, and whether to leave the food out. As far as the "come" command goes, she is much too young to have mastered it along with a consistent recall. You said that "she would rather dig in the garden or eat poop than come to me." The trick is to get her to WANT to come to you. But how? You have to motivate her to want to come to you with rewards. Treat rewards. Rewards of praise and play. She has to associate coming to you with good things. For these, and all the other behavior issues that will come up over the years, I recommend you get ahead of the problems with training from foundational principles. 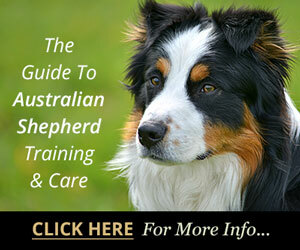 You can find information about our Guide To Australian Shepherd Training & Care here. I also highly recommend the comprehensive ground-up video training program offered online by "Doggy Dan" a professional dog trainer. You can check out his site with access to his entire program including hundreds of categorized videos for 3 full days for only $1 here. That will give you plenty of time to see how his program can really help you. 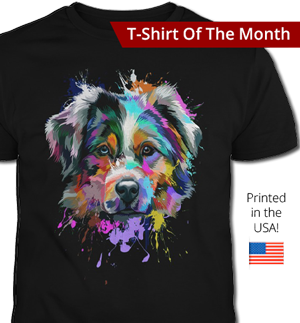 After that he has plans including a monthly plan that give you access to professional dog training 24/7 for far less than it would cost to hire a professional one-on-one. It's well worth it to get ahead of these problems and have a well trained, well behaved dog as well as having a strong positive relationship with her—rather than constantly struggling piece-meal with problem after problem for years to come. I love Anton's response, agree 100%, I put my cats food on top of the dryer, they love to jump and kept my Aussie at bay, and the cat's litter box in another room..... no problems, pups need to go potty every two hours, when they are young, so outdoors and praise, praise, when they do, and mine is now 13 years old and when there is an upset in the house, grandchildren come for a visit, whatever, any change, she will urinate, I have never once scolded her for it, that is how they deal with upset, so they do not do it on purpose, and it is so sad that people think that they do, they are animals, we are their pack, and they sometimes must feel alienated.... Yours is just a pup, but hang in there, have lots and lots of patience, it can be frustrating but put yourself in that poor pups place, it is now living with humans and not it's maternal pack. At 10 weeks your puppy is not going to know these things. By a book on the breed and study it. Aussies are very trainable and very intelligent. It takes time, patience, and persistence. This would go for any animal. Skye is a beautiful dog. He/she will respond to commands soon enough, but it takes time to teach them. Use potty training pads until you can get he/she to go outside. Use small treats and simple commands at first. Try enrolling in a dog obedience class. These dogs are a wonderful breed, but again use patience and be persistent in training. I would have her on a leash inside and outside. Do tons of recall with rewards and play. I've had aussies for 20 years and recall is the most important!! Puppy should never be more than 6 feet away. Tons of crate games and motivational games!! I find this disturbing. kudos to those with great advice for the dog owner. All I have to say is REALLY? R u kidding? Trust me, your puppy is smarter than you. 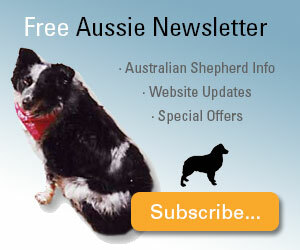 Aussies are brilliant dogs. Your pup is only ten weeks old. The most productive approach to working with Aussies in general is a positive, and consistent training method. I highly recommend the book The Puppy Primer to help you with this. I would also recommend a higher level of engagement with Skye. Instead of just letting her out to pee, teach her what she should be doing while on a lead. When she squats to pee, pair this action with a word you want to use (go potty!) then give her a training treat and praise when she is done. Instead of grabbing her by the scruff to keep away from the cat food, learn about redirection techniques and reward her for making the right decision (avoiding the cat food). To teach come you'll need to start with the basics. Does she look at you when you say her name and do you praise/treat her when she does? If you continue with punishment you will run the risk of her avoiding you when you call her. Aussies are very quick to make associations - positive or negative. You want to form a strong bond with her early for the best results. Stay consistent and she'll come around. I agree with everything that has been said on these issues. At ten weeks old, your puppy doesn't know what you want, what she is supposed to do, or that clapping hands and "NO" mean not to do something--dogs aren't born speaking or language. Stopping her from doing something is only part of the process; you need to reward her when she does what you WANT her to. If you clap your hands and she looks away from the cat food (or whatever) praise and give her something else to play with our chew on. It sounds like you need to engage her more and be more interesting to her. And realize that you are dealing with a puppy. This post is truly heartbreaking. I hope you have educated yourself by now. I wish you and your dog the best. 1st dog of my life...am a dog lover now!! Your post is heart breaking:) 10 weeks is a baby that needs love and training. My mother always said kids are like dogs...they need to be trained and we didn't had a dog growing up. Never thought I'd love dogs....my Aussie turned me into a dog lover, but I read a lot and new what I was getting myself into before I got her. 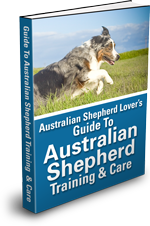 Which is...Aussie's are very smart and active which means they need to be constantly challenged by training and worked by activity. Well she is an Aussie!!! 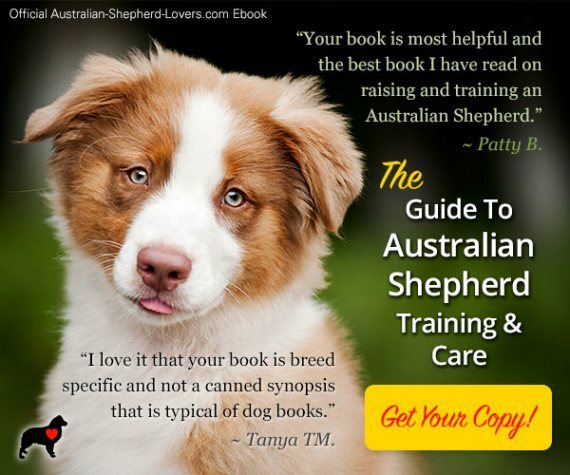 It seems to be a breed standard that they know exactly what you want them to do and will gladly do it, because believe it or not the Aussie is a owner pleaser at all cost, when they chose how they chose and where they chose. 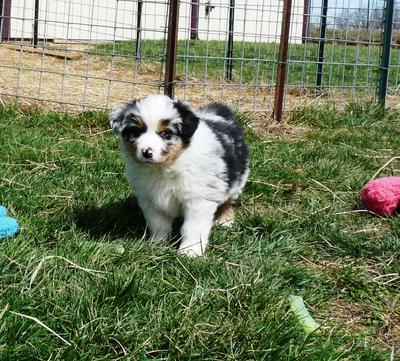 My Australian Shepherd is now 6 months old and wants nothing more than to please me but there was a time not so long ago that she was bent on proving that she would in fact mind commands but on her terms. I knew this coming in because I researched the breed extinctivly. By the end of the first month I was all but convinced that she was just a rare one in 10,000,000 that was stupid. However she was just playing me. Please be patient because the attitude will change. My vet said that this breed can get kicked in the head 100 times a day by the same cow and will go back again. They are extremely goal oriented and need to be given a job to do i.e. Frisbee, fly ball or even herding ducks, rabbits or even children. She will get to the point that she looks to you for approval for every action. That is not to say that she will always listen to commands. She will always be an Aussie, determined, tenacious and relentless. Just go with the flow and never give up on her. Our little guy is 10wks old, we spend a lot of time with him everyday, he is house trained and attends puppy class and also goes to puppy pre school once a week. We have only ever owned German Shepherds so this breed is new to us, they are amazing dog with high levels of intelligence. We felt like we had a child in the house for the 1st couple of weeks but he has learned the flow of the house and will do anything to please, he loves having chores and loads of toys to play with, he has a ball pit, sand pit & tunnels for outside play & loads of chew toys for inside play. Spend time with your girl reward her when she is doing good, try not to focus on the naughty things, encourage the good and use distraction on the bad. 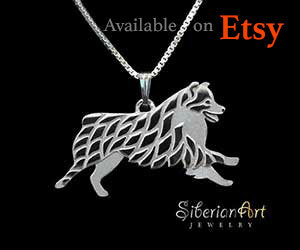 These dogs are very cleaver and are fun to be around. Well, as far as the cat food goes, I used to put mine on top of the dryer, out of pups reach. When you call her to come, she will be happy to if you treat her when she does, I trained mine to do a lot of things with tiny boiled meatballs, boiled in broth, then I'd freeze them, lay them on a tray then bag them, hold a couple in your hand to thaw. Got my girl into puppy school asap when I got her, learned lots of ways to deal with her, she turned out to be the best ever, she is now 14 and slowing down, so sad. Good luck with your pup. Has been a difficult process but I’m finally through it. One thing you need to know is that dogs do not develop their urinary muscle, sphincter, until they’re at least 12 weeks old and as it goes on they get stronger and stronger. Your puppy is not doing anything to defy you, she simply goes when she has to go because there’s no Muscle to control the urine. So basically it’s up to you to get her outside and time and teach her that’s where she goes. If you think she’s going to be potty trained or have recall at 10 weeks is simply unrealistic. 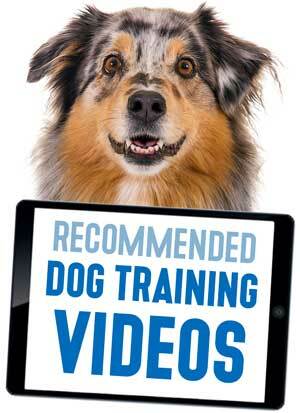 15 to 20 minute of treat reward training at this young age is all that you need. Do come withe small reward treat when they come with petting and stated good boy or girl. After a month slowly just good girl or boy and occasionally a great is needed. I got 2 Aussies and 1 chiwauwa all trained the same, they can be in the far back and I call the stating come come, they come running. Sometimes I still treat they sometimes I don't. If they eat their own poop try a little garlic on their dry dog food makes it stink.